Every day more than 140 women are diagnosed with breast cancer in the UK. Raise money and let’s keep improving the odds of survival for each and everyone. Grab your FREE fundraising pack crammed full of ideas, materials and tools you need to get started. 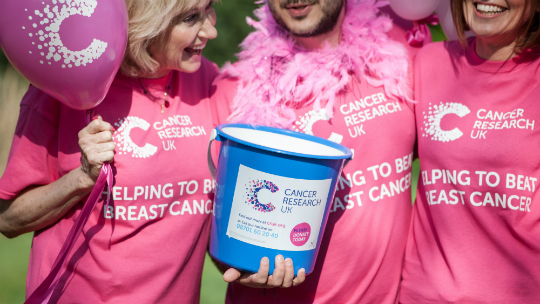 The more support you have the more successful your fundraising will be and we can help, with everything from posters to spread the word or a sweepstake game to kick things off. Our fundraising pack also has the practical information and inspiration you’ll need. You may already know exactly what you’d like to do, so why not check out all of the handy materials to plan and promote your event. We’ve put together loads of quick and easy ideas to get your fundraising started, whether you’re looking for a solo challenge or fun with friends and family.